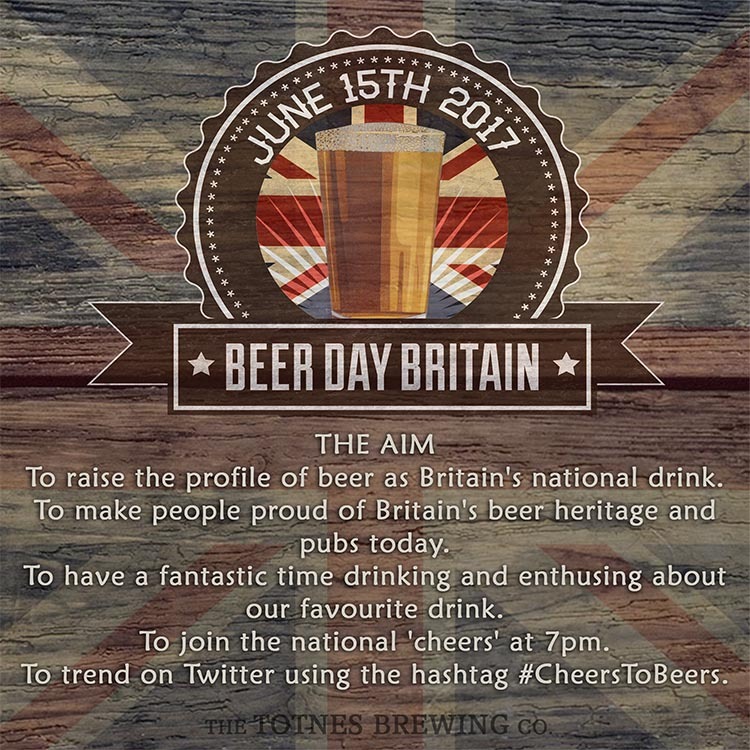 “June 15th is Beer Day Britain – the UK’s first national beer day – and your country needs your help and enthusiasm to demonstrate why Britain’s beer and pubs should be recognized as national treasures. June 15th is also the date that Magna Carta was sealed in 1215. The connection between Magna Carta and Beer Day Britain is that ale is mentioned in Article 35 of the great charter. Ale was so important in England in 1215 that it was included in one of the most significant legal documents in history. And in 2016 beer is still vital – not just to the British economy but to the social health of the nation. To encourage people to drink beer whether that is at the pub, a barbeque, party, picnic, or brewery tap room. To raise the profile of beer as Britain’s national drink. To make people proud of Britain’s beer and pubs today and of Britain’s heritage as the brewing powerhouse and its role in spreading beer around the world. To have a fantastic time drinking and enthusing about our favourite drink.